Hours after the US handed full control of the US Detention Facility in Parwan to Afghan authorities, US Secretary of State John Kerry made an unannounced visit to embark on talks with Afghan President Hamid Karzai. 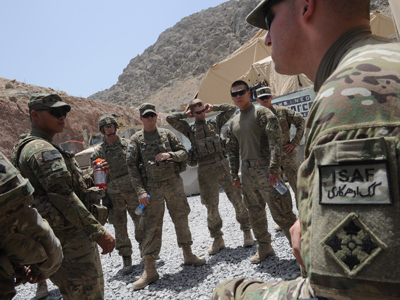 Over the weekend, US officials agreed to hand over the Bagram prison, thereby taking an important step in recognizing Afghan sovereignty. The transition began Monday, just hours before Kerry stepped off his plane in an unannounced visit to speak to the country’s president. “This ceremony highlights an increasingly confident, capable and sovereign Afghanistan,” top US commander in Afghanistan, Gen. Joseph Dunford, said as he handed over the facility. But about 50 foreign inmates, which the US considers too dangerous to hand over, will remain under US control, as well as hundreds of Afghans who were arrested since the initial transfer deal was signed in March 2012. 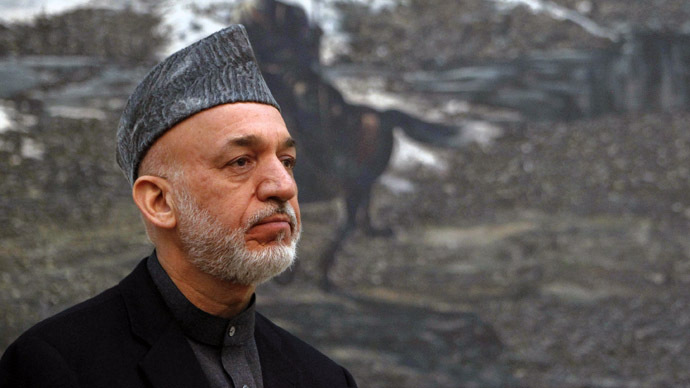 Tensions between the US and Afghanistan have been particularly high, especially after Karzai this month accused the US government of conspiring with the Taliban to keep foreign forces in the country. “Yesterday’s bombings in the name of the Taliban were aimed at serving the foreigners and supporting the presence of the foreigners in Afghanistan and keeping them in Afghanistan by intimidating us,” he said in a televised speech earlier this month after two explosions left 19 people dead. The accusation, which coincided with Defense Secretary Chuck Hagel’s visit to Kabul, infuriated US officials. Shortly after the televised speech, the US called off the ceremony that had been planned for an earlier date to hand over the detention facility. Karzai and Hagel also cancelled a joint news conference scheduled for March 10, but alleged that this had nothing to do with the offensive statements made by Karzai. This month’s string of disagreements have heightened tensions between the US and Afghan governments – but US officials accompanying Kerry told reporters that he did not plan to dwell on the past. 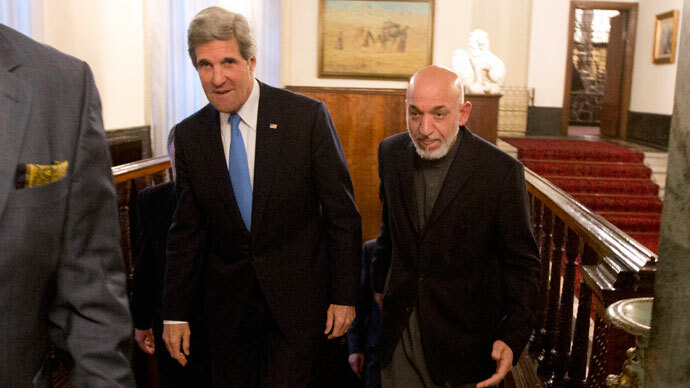 Officials told a group of reporters that Kerry and Karzai plan to discuss the transfer of security to Afghan forces, upcoming elections, and the country’s reconciliation. During his 24-hour visit, Kerry will also focus on continued US assistance to the country and how to wean it off such aid as military operations wind down in 2014. The transfer of the Bagram prison, coinciding with Kerry’s unannounced visit, may signify a serious attempt to mend the difficult relations between the US and Afghanistan. The US had initially agreed to hand over the detention facility a year ago, but failed to transfer complete control over all of the facility’s prisoners, fearing that Afghanistan would free inmates that the US considers dangerous. 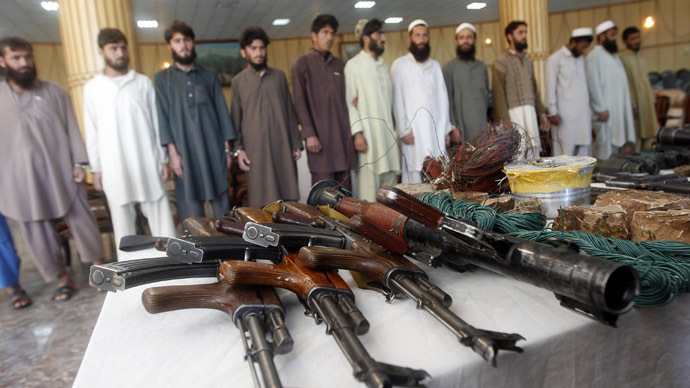 Continued refusal to hand over full control has continuously come under scrutiny by Afghan officials, who considered that a violation of the agreement signed by both countries. Although US officials have proudly announced the ‘full transfer’ of the Bagram prison, 50 foreigners not covered by the agreement will continue to remain in US hands -- which would again be a violation of last year's deal. 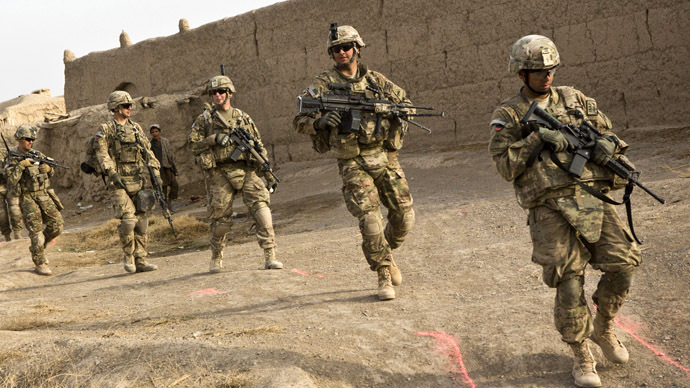 Still, the move is a significant step in a direction that the US has long failed to go as it continuously refused to recognize Afghan sovereignty. 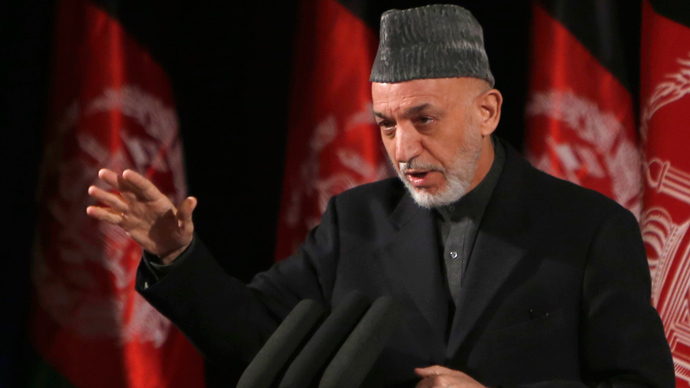 “This looks like a victory for Karzai as he has got what he wanted,” Kate Clark of the Afghanistan Analysts Network told AFP. Karzai has not publicly responded to the US decision to retain control of the 50 inmates that are allegedly too dangerous to hand over. “affirms their mutual commitment to the lawful and humane treatment of detainees and their intention to protect the people of Afghanistan and coalition forces.” Upon conclusion of the talks between Kerry and Karzai, the Afghan president will travel to Qatar to discuss future Taliban negotiations. Kerry had planned to visit Pakistan, but will delay the trip until the central government is more settled and elections have passed.